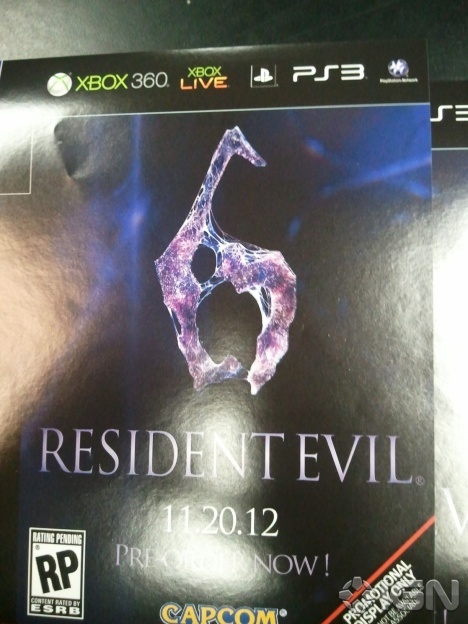 Last year saw the appearance of the “supposed” logo of Resident Evil 6 while people were skeptical of the games release it was later commented by Capcom that the next Resident Evil game can come at anytime and that time came today. Resident Evil 6 will be history in the making as we will see Resident Evil favorites Chris Redfield, Leon S. Kennedy and Even Ashley (from Resident Evil 4) (My mistake, I thought it was her but it isn’t confirmed yet) make a comeback all in one game, Leon has to deal with a mutated president, Chris is dealing with zombies in China and we see the appearance of a new character who apparently is wanted because of his blood. The trailer alone has me psyched for the game and it’s a 2012 release date :D.
Resident Evil 5 released in 2009 and was the first HD Resident Evil title on the next generation consoles, the game had a great cast of Characters showing off the return of Chris Redfield and a hot female sidekick “Sheva” who are facing the Bioterrorist threat in Africa, In Resident Evil 6 the threat is no more restricted to one part of the world, this time you will play as 2 different protagonists to stop the threat from spreading further than it already has. Leon S. Kennedy is in “Tall Oaks” where he has to face off against 70,000 zombies after killing the president of the United States, and we also see Ashley in the game (Remember her from Resident Evil 4?) (The Blonde girl is not confirmed to be Ashley yet) and the trailer also shows us Chris fighting zombies and B.O.W’s in China with BSAA. The trailer how ever shows a new character who comes into play who is not given a name as of yet but he will definitely play a part in the story. The trailer shows off plenty of gameplay and so far I like the new changes in the game such as sliding, sprinting faster and how the aiming is more fluid than it was in the previous Resident Evil games, I hope to see more game play videos come in the future just like Operation Raccoon City game play comes up so often. While Resident Evil has definitely gone from survival horror to more action based style of game play this is still going to be a great game, the game is scheduled for a 20th November 2012 release date for the PlayStation 3 and the XBOX 360 and the PC version will follow at a later date (Sorry PC) but the fact that I will get to play 2 Resident Evil games in one year is simply amazing, considering how Operation Raccoon City is launching in March 2012 :D.
It has been ten years since the incident at Raccoon City and the President of the United States has decided to reveal the truth behind what took place. Raccoon City survivor and personal friend of the President, Leon S. Kennedy, arrives to find the President transformed beyond recognition by a bioterrorist attack. Leon is forced to make the hardest decision he has ever made. At the same, Bioterrorism Security Assessment Alliance Member, Chris Redfield arrives in China, itself under threat of a bioterrorist attack.